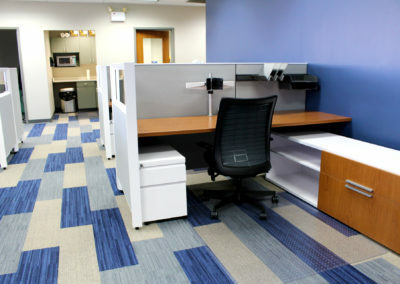 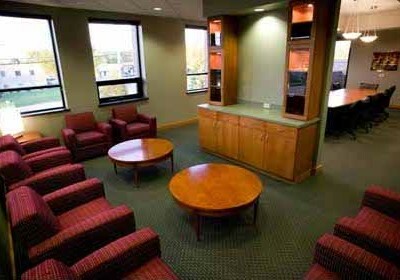 Milliman, an international actuarial firm, needed more space to support growth in their Brookfield, Wisconsin office. 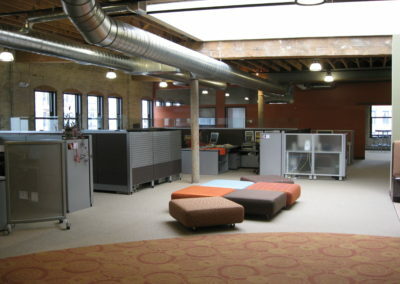 Creative provided extensive space use analysis, space planning, design, construction, furniture, and sound masking for more than 75,000 square feet. 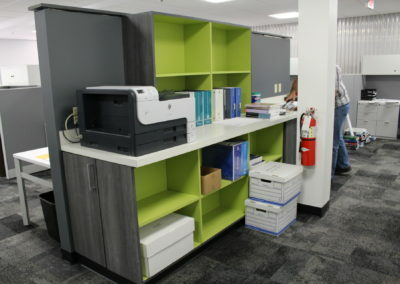 All work was done in phases to create minimal disruption to Milliman employees. 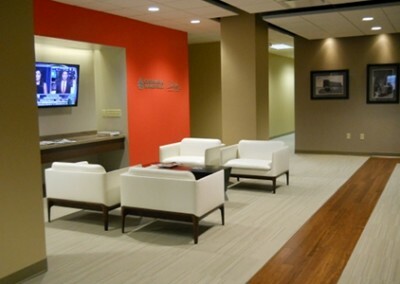 The Reception Area was relocated from the fourth floor to the first floor to make it immediately accessible to the building entrance and create a striking first impression. 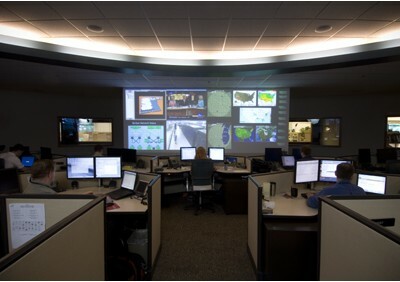 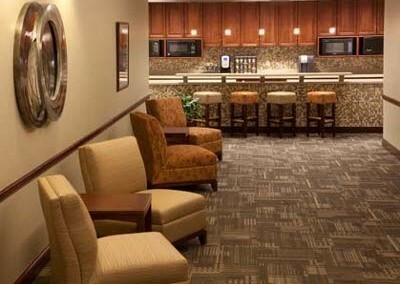 A large Multi-Purpose Room, accommodating approximately 250 people, was updated with the latest technology. 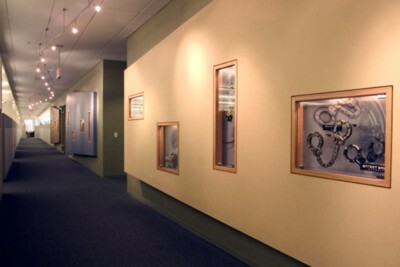 Warm, rich, but classic colors were used for the project. 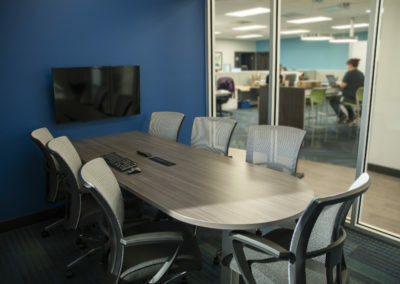 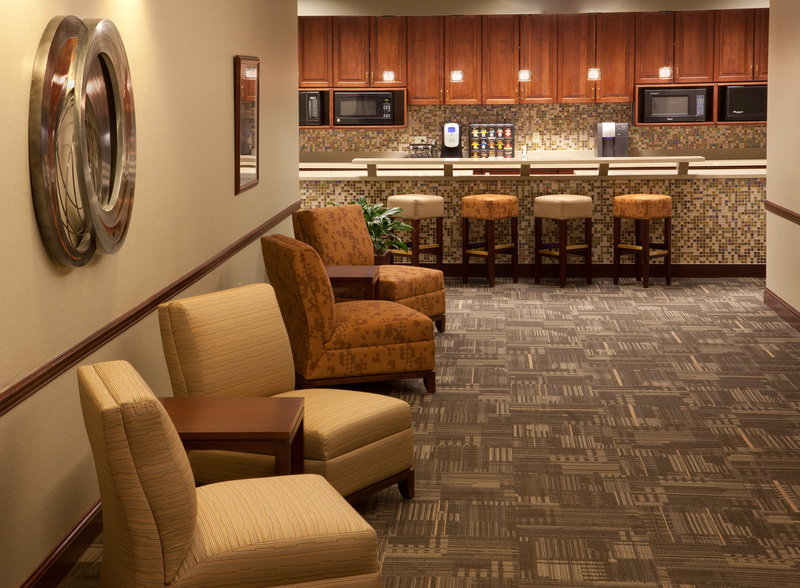 The 3rd and 4th floor Elevator Lobby Areas were transformed into a socializing hub with soft lounge seating adjacent to the study areas, access to a coffee bar, and a renovated galley kitchen. 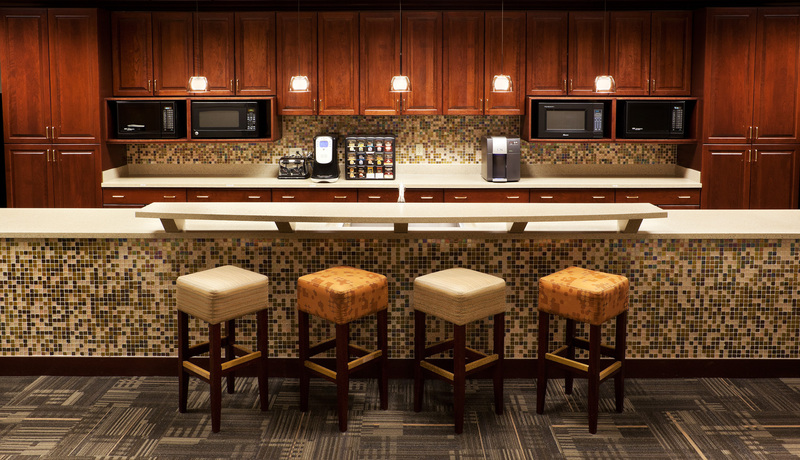 This “café” space creates a sense of community and camaraderie among the staff.